The Warner Archive Collection has long been responsible for bringing many of Warner Bros.' most interesting films and television series to home video, but their release slate in the early months of this year has been particularly remarkable. 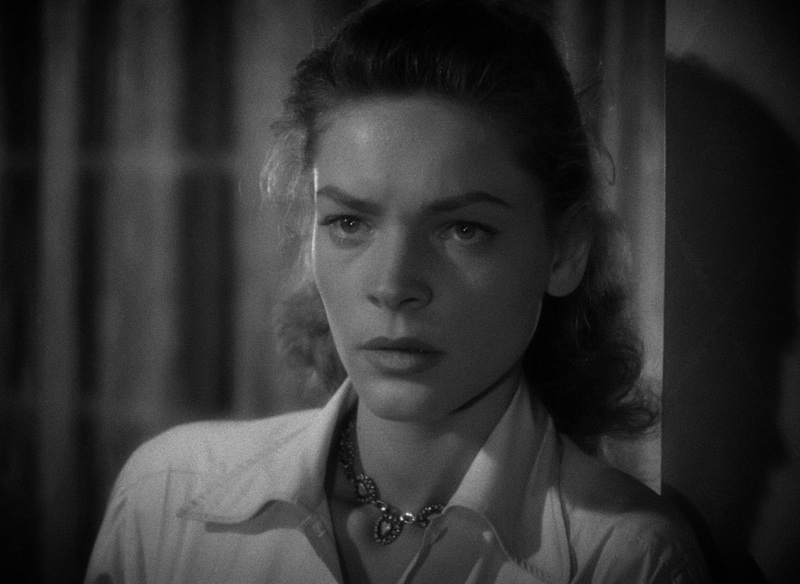 In the space of four short weeks, they're bringing to Blu-ray long-awaited editions of Hitchcock's I Confess and The Wrong Man, two cuts of The Big Sleep on a single disc, and, in another Bogart and Bacall pairing, Key Largo. Humphrey Bogart stars as the world-weary Frank McCloud, a veteran who's spent the years following WWII circling the country. The former officer's travels have now taken him to just about the southernmost point of the United States. A couple of brusque thugs snarl that the Hotel Largo is closed for the season, but Frank pays it little mind; it's not as if he's here to stay. Once he's met with the family of one of the men who fell under his command -- George's widow Nora (Lauren Bacall) and grieving, wheelchair-bound father James (Lionel Barrymore), who run the hotel -- he'll be back on a bus heading who knows where. Frank sets the Temples' minds at ease, noting how exceptionally their son and husband had served their country and that George did not suffer at the end. Afterwards, the two of them encourage Frank to stay the night. Some prickly loon may have bought out the entire hotel, but it's not as if they're at a loss for empty rooms. Frank's timing couldn't have been worse. He's arrived just as a mammoth hurricane is bearing down on the Florida Keys. 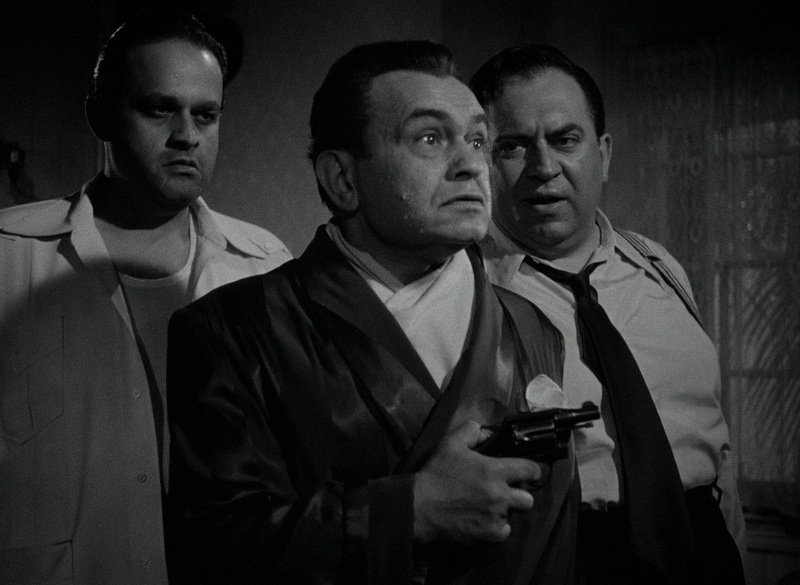 Even worse, he and the Temples are trapped inside the hotel with notorious mobster Johnny Rocco (Edward G. Robinson), who's returned from exile to reclaim his criminal empire. Gun-toting mobsters inside and a hurricane outside: it's a claustrophobic, incendiary combination from which any filmmaker worth his salt should be able to craft into something intense and suspenseful. Key Largo does indeed succeed on that level, but director and co-writer John Huston elevates it further into something far more extraordinary. A defining aspect of Key Largo's brilliance is its refusal to settle into a comfortable, familiar rut. Silent, still, and brooding, Frank is hardly some daring action hero. 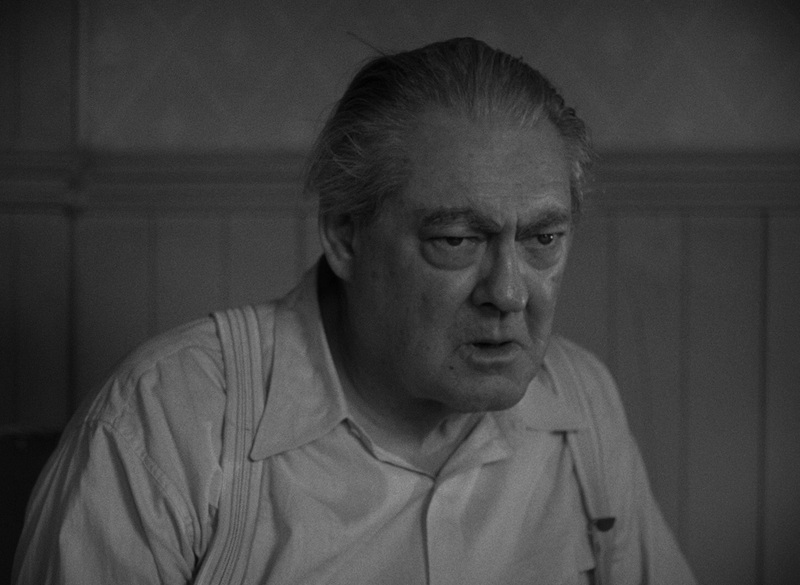 Given what Frank had endured and overcome in San Pietro -- horrors with which Huston himself was all too well-acquainted -- what does he have to fear from the likes of Johnny Rocco? There is often the sense that Frank is entirely in control, even if he allows the illusion to persist that he's not. Other times, I'd find myself wondering if he's simply too numb to care. 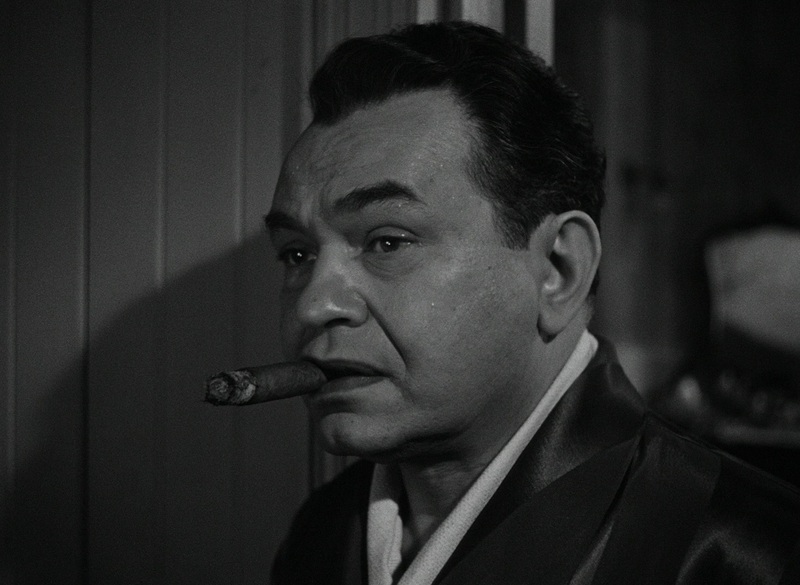 Edward G. Robinson capitalizes on his long-established gangster persona. Johnny Rocco is a force of nature, and the zeal with which he debases and demeans remains wholly unnerving some seventy years later. Rocco is not at his most frightening when he's barking commands or waving around his revolver; it's when he himself is terrified. We know what Rocco is capable of when he's wholly in control of a situation. What's he capable of when that control is stripped away? Huston and co-writer Richard Brooks refuse to shove their characters into ill-fitting boxes. Despite the palpable chemistry on display, Nora is not present to serve as a love interest. James may not be able to stand under his own power but terrifies Rocco as no one else can. The mention of the escaped convicts being hunted at the outset evokes one set of expectations that are ultimately defied. Rocco's thugs are, for quite a while, surprisingly charming and likeable, proving their initial brusqueness to just be posturing. Those who were once aggressors soon cower in fear. Those who at first glance seem to be the weakest and most vulnerable turn the tables on their captors. Those tables, once overturned, are not prone to remaining that way. 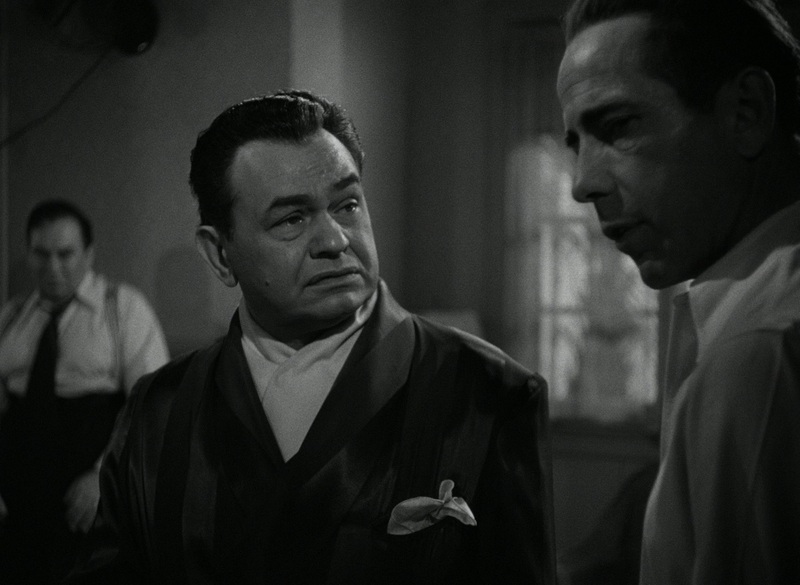 A film pitting a war hero against a nothing-to-lose mobster seems destined to build to a certain, inevitable conclusion, but Key Largo instead has designs all its own. Key Largo is in every way extraordinary. The sharply written dialogue continues to gleam all these decades later. 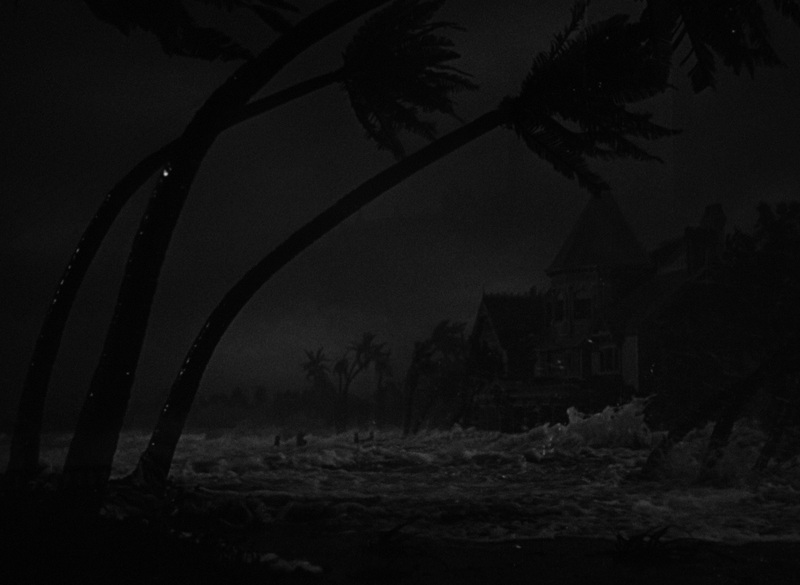 Despite filming almost entirely in a soundstage, Huston brilliantly evokes the steaming humidity of the Florida Keys and the brutality of the summer storm, even if it does pass far too quickly to convince as a hurricane. Key Largo is aware of and continually defies its audiences' expectations, while still delivering the gruelingly intense suspense its claustrophobic premise demands. With such names as Bogart, Bacall, Robinson, and Barrymore's on the marquee, it rather goes without saying that the performances are uniformly terrific. Of particular note is Claire Trevor who earned an Academy Award portraying Rocco's lush of a moll. Gaye's humiliated rendition of "Moanin' Low" for another drink -- thrust upon Trevor by Huston without any preparation, the legend goes -- ranks among the film's most unforgettable moments. 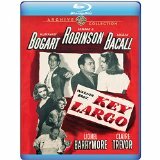 Key Largo offers so much to discuss and analyze, from the way in which it reflects on WWII to Huston shining his spotlight on the plight of the Seminoles. This exceptional film has been lavished with a similarly remarkable presentation on Blu-ray. The only way in which this edition of Key Largo could possibly be considered a disappointment is its lack of extras, a misstep carried over from previous DVD releases. A more extensive release would've warranted a Collectors' Edition rating, but Key Largo still very much comes Highly Recommended. Ten months from now, the usual bloggers and review sites will inevitably start posting their 'Best of 2016' lists, and Key Largo will deservedly top many of them. There's little I could say that the screenshot above doesn't convey more skillfully and succinctly. Details about this remaster have not yet been made available, but the very fine sheen of film grain, exceptional level of detail, and startling clarity on display throughout Key Largo rival the best 4K-sourced remasters I've had the pleasure of experiencing on Blu-ray, regardless of era. I repeatedly found myself awestruck, even when stepping through individual frames at an oppressively close distance. The presentation is immaculate, free of even the faintest wear or damage, yet remains wonderfully filmic throughout. Nothing in any way about Key Largo feels the least bit digital, thanks in part to a high bitrate AVC encode that spans both layers of this BD-50 disc. Warner Archive's extraordinary release stands on the brink of perfection. The closest thing to a concern I can muster is the brief shift in grayscale a couple of times. The effect is diminished in still screenshots, but compare the slightly duller middle image to the shots bookending it. That, of course, does little to diminish my enthusiasm for an achingly gorgeous presentation that continues to have me at a loss several days after first experiencing it. Exceptional in every way conceivable. 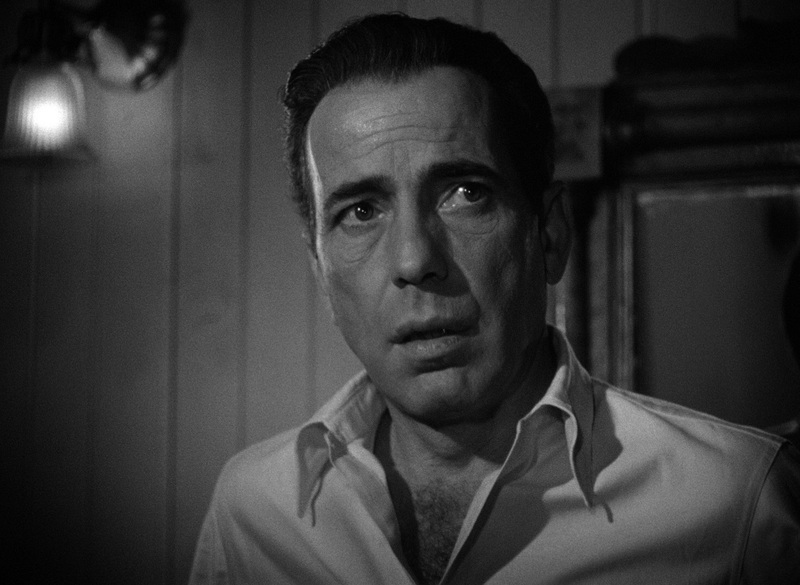 Presented in 24-bit DTS-HD Master Audio, Key Largo's two-channel monaural soundtrack is nearly as remarkable. The lossless audio is wonderfully full-bodied, with Max Steiner's forceful score and violent claps of thunder reaching deeper into the lower frequencies than I could ever have expected. At the same time, it's balanced in a way that feels entirely natural, not overcooked or in any way revisionist in nature. 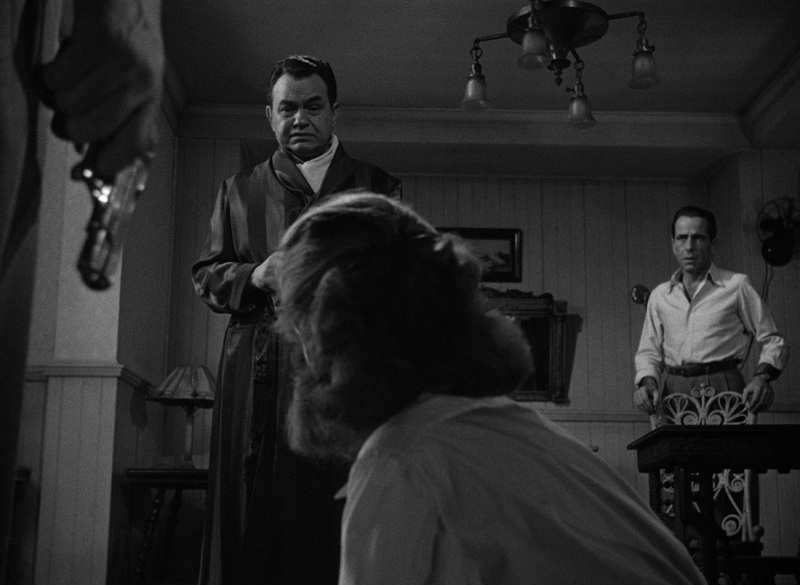 Key Largo's dialogue is consistently rendered cleanly and clearly throughout, and the track is devoid of any intrusive background noise or any flaws whatsoever. This is again a world-class remaster and easily exceeds my already-high expectations. Also included are lossy dubs in French, German, Castilian Spanish, and Polish. Subtitles have been provided in English (SDH), French, German (SDH), Spanish (Castilian and Latino), Czech, Polish, and Japanese. The only extra is a two-and-a half minute trailer. John Huston's Key Largo is a classic by any measure, and Warner Bros. has lavished it with the remarkable presentation it so richly deserves. Only its lack of extras prevents this Blu-ray release from earning DVD Talk's highest rating. Very Highly Recommended.